For today’s entrepreneurial society, home-working seems to be where it’s at! So many people take a leap to start their own business, and with that, the need for a place to work and to feel as though you are at work. However, it’s not just the self-employed. Many companies are now embracing the home-working option and are putting in place the technology required to enable their employees to benefit from this flexibility. No commute – No rush hour traffic, no motoring expenses, and no stress trying to find a place to park. Also let’s not forget to mention the reduction in risk of road safety. Saving money – Not only on the expense of the commute as mentioned above, but also on that lunchtime snack or expensive coffee. Being able to work from home enables you to have a home made lunch everyday, reducing expenditure on pre-packed sandwiches and as most offices do, those cakes and treats on a Friday! Saves your waistline – Most people that work from home, schedule into their day more time to exercise. This is because they are not under the daily pressure of getting to the office for a fixed start time and leaving when it’s time to clock out. We’ve all avoided the gym because we know that everyone else is trying to get there when they finish work. If you can set your own schedule as a home-worker, what’s stopping you from going to the gym at 11am when everyone else is at their office? As long as you do your hours and complete your work, your time is your own. Keep your illness to yourself – Coughing and spluttering, snuffling and sneezing are never a great combination in an office environment. When you feel rough, you tend to look it, and the last thing you want to do is face your work colleagues or partners looking as though your head might explode. When you work from home, you can keep your lurgy to yourself and more importantly prevent yourself from catching anyone else’s. Early bird or night owl? – When do you feel the most productive? With flexible working you can manage your day by working during the hours when you feel your brain is in the zone and you can get the most done. It gets lonely sometimes – This is true! Sometimes you do miss that team member/work colleague companionship. When you’re having a busy day and feeling a little stressed, you have nobody to visually see your efforts and offer a helping hand if you’re swamped. A morning gossip (while working of course) about what happened in last nights episode of your favourite TV show or arranging that spur of the moment social night out. Space to work – If you don’t have a dedicated space you can call your office, it can sometimes feel as though you never leave work. A constant reminder that there is work to do, leaving your social time surrounded by reminders of what’s next on your work agenda. Keeping your work environment separate from your personal life can be tricky if you are limited with space. So think carefully how you can make your available space work from you so that it doesn’t impact on your personal life and family. Discipline – if you’re not disciplined then home-working is not for you. It’s that simple. You need to be able to motivate yourself, give yourself encouragement and recognition and install discipline into completing your tasks and switching off at the end of the day. With those points in mind, what do you benefit from most being a home-worker? Maybe it’s an option you are considering at present and you are weighing up the pros and cons? Whether you are self-employed or employed and you work from your home or private office, you can rest assured that you will get out of it the benefits from the effort you put in. 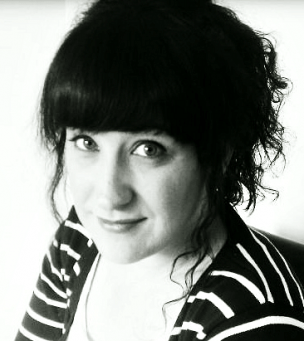 ABOUT THE AUTHOR: Michelle Gibson | Virtual Assistant and Contracted Content Creator for Executive Support NZ. Michelle hails from the U.K. and she is the VA’s VA. She runs a community on Facebook that helps Virtual Assistants with their health and well being.